Wallbank’s Park is probably one of the smallest and least recognized of Duluth’s park facilities. In fact, unless you happen to be a geocaching hobbyist, it’s a safe bet you’ve never heard of it. But there it is, right west of Lincoln Park in the center of a group of true north-south, east-west streets in the historic West End. The eighty acres surrounding Wallbank’s Park were once owned by Dr. Samuel Seddon Walbank, and most of the east-west street names nearby bear clear relation to his family history. In Duluth’s early years he was known simply as Dr. Walbank—and at one point was the only doctor in town. Dr. Walbank was born in 1825 in Moreton Hampstead, a small market town in the heart of Devonshire, England. His wife Kate, whom he married in 1850, was born in County Wicklow, Ireland, in 1835. They had four children who lived to adulthood: Kate, Emma, Samuel Seddon, Jr. (known as Seth), and Harry Edward. 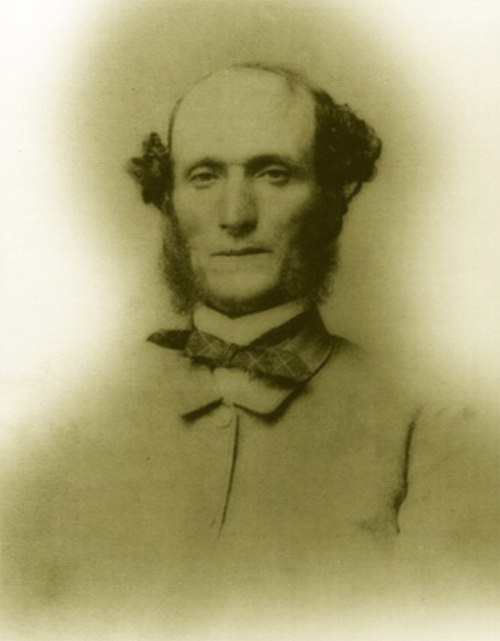 After some years as a pioneer doctor in Ontario, Upper Michigan, and southern Minnesota as the superintendent of the Rochester insane asylum, he arrived in Superior in 1869 with his family. Within two years, the Walbanks had relocated to Duluth. While Walbank is sometimes mentioned as an expert in “the diseases of women,” his main profession in Duluth was as a druggist and general practitioner. His drugstore was located at Superior Street and Third Avenue West for many years and was a center of medical necessities for the fledgling city. One unusual detail comes down to us through idle newspaper chatter: the drug store had a “fine aquarium” in which Dr. Walbank displayed a tree frog. Despite what must have been a very busy schedule—Walbank was on call for all kinds of medical emergencies, embalmed the dead, and was even charged with verifying the potable (or disease-ridden) nature of Duluth’s water supply—Walbank had a number of civic and artistic interests. He was an accomplished violinist who participated in the very first concert held in Duluth, which took place on June 22, 1869, in Ingalls & Shaw’s store (located in today’s Canal Park Business District). The concert, which was held to benefit the First Presbyterian Church, was reportedly blessed with beautiful weather and a fine audience, though the guests had to sit on rough plank seating. The good doctor also was a noted farm hobbyist, having forty acres in Oneota where he planted 200 grapevines, a wide variety of crab apple and plum trees, and currants; his farm also featured greenhouses for cucumbers, tomatoes, cabbage, lettuce, and celery. When the farm fever died out in him, he wanted to turn the property into a horse-racing, but whether he ever went through with his plan is unclear. Resolved, that by the death of Dr. Walbank, the chamber loses one of its most faithful and efficient workers. Duluth one of her most public spirited and patriotic citizens, the medical profession of this county and state one of the most skillful and successful practitioners, and society one of its most useful and most honored members, that in the home from which he has now been called he was an affectionate husband and a kind and indulgent father; that his influence was always on the side of justice and right, and that in all the relations of life he proved himself to be a good and a true man. Walbank’s children did modestly well. His daughter Kate married another doctor, J. E. Bowers, who likewise served as superintendent at the Rochester mental hospital. His daughter Emma married a British man who was the nephew of Louisa, Lady Oglander of the Isle of Wight, named Edward Ernest Leeds. Both daughters lived most of their married lives in Duluth, though it appears the Leedses eventually ended up in London. One son, the doctor’s namesake Seth, had an end that was bound up somewhat in the ill-fated Clarendon Hotel. He was an explorer in the mining industry and owned some property on the Vermilion Range, but while he was in his thirties he lived at the Clarendon—and died there, succumbing to pneumonia at the age of 38. Within a week after his death a woman named Louisa approached his family, claiming to be his common-law wife. She had managed the Clarendon and claimed that they’d lived together as man and wife there for thirteen years. She ended up receiving a settlement from the family, and didn’t pursue her claim further; nonetheless, the Walbank properties ended up in probate court for a few years. As for Wallbank’s Park, the family donated the land to the city as a memorial to the good doctor in 1918. It was supposed to be called “Walbank Memorial Park,” though over the years the “memorial” part has fallen away, along with the proper spelling of the man’s name. Other streets nearby that are clearly Walbank contributions include Devonshire Street (named for Dr. Walbank’s birthplace), Exeter Street (the nearest city to his hometown), Restormel Street (named for a ruined castle near Devonshire, a popular tourist attraction in his day), and Wellington Street (for the Somerset town of Wellington, which gives its name to the First Duke of Wellington, of Waterloo fame). Wicklow Street is named for the county in which Dr. Walbank’s wife Kate was born. The origins of other names Walbank chose for the streets of his division are less clear. While Duluth features a park named for Walbank and several streets named for features of his homeland, perhaps the most prominent landmark remembering Dr. Walbank is the Walbank mausoleum in Duluth’s Forest Hill Cemetery, which was relocated from what is today a portion of lower Chester Park to its current location along Woodland Avenue the same year Walbank died. Walbank’s was likely the first private burial chamber constructed at Forest Hill.